"Wearing makeup shouldn't look like you have been making out with a box of crayons." As a photographer I see first hand the effects of good, great and average makeup on a wedding day. Having professional makeup done can enhance your natural beauty, protect you from the sun and make you feel just that little more special, on an already special day. From a photographers point of view, great wedding makeup will even out colour blemishes in the skin tone, reduce reflections, enhance highlight points, help define facial structure and most importantly, almost always increases the brides confidence in her self image, resulting in more relaxed and genuine expressions. This gives the photographer more options when capturing you in different lighting situations throughout the wedding day. Now I know a few things about makeup from a photographers point of view, but it is important to get advice from people that really know what they are talking about. To that end I reached out to some of the best makeup artists in the business to get the good information. Maintain your beauty routine. Changes may do more harm than good! Facial waxing should be done at least 3 days before. Terminology can be mis interpreted due to you-tube and tutorials so have inspiration images of the looks you love on hand so there is no room for error. Have more than 1 trial if your unsure. It’s best to eliminate all the stress before the day so you can relax on the day with loved ones. Pick a Makeup artist who you feel comfortable to communicate honestly with. Finding someone who is skilled in their field, will always want to make sure your makeup is an enhancement of you, not a face painted version of a Kardashian. Classic styles are best for weddings, leave the ‘on trend’ styles for birthdays and other fun events like someone else’s wedding. It’s always good to prep your skin a few months out from your wedding by drink 1-2L of water per day. Other top tips are go see your beauty therapist at least one month leading up to the wedding day and get your skin in top shape, great skin is the basis of gorgeous makeup! 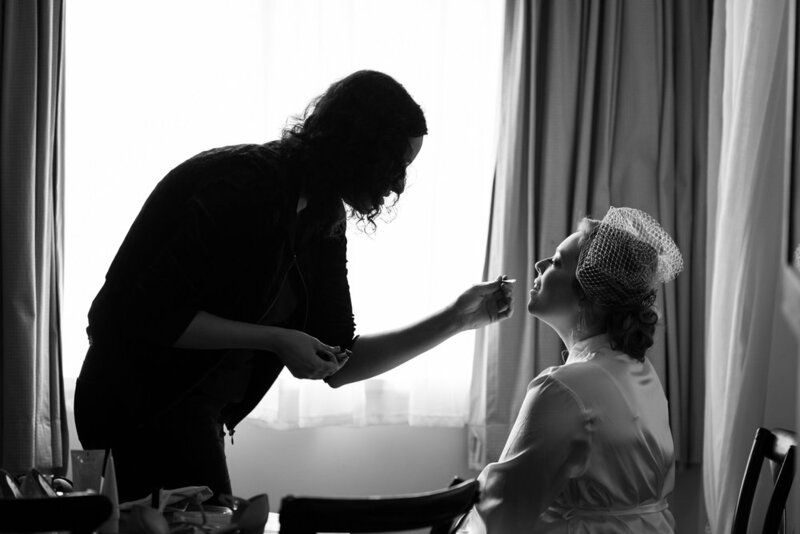 Every bride is unique and every bride requires different needs when it comes to her makeup. With all the details, research and planning that brides do for other parts of their wedding day, I only ask that you do the same diligence with your makeup.